An application regularly faces threats both external as well as internal. These malicious attacks are usually from the web and continue to increase with each day making cybersecurity a tougher challenge. Additionally, the method of attack, or threat model, has evolved a great deal since the time early, legacy applications were written and published. This has led to vulnerable components in legacy applications becoming the primary concern. Let us take the example of sensitive data originating from the European Union. Attacks that are focused on web applications have become a primary doorway to data leaks. Given that GPDR is now in effect, organizations can end up paying up to 4 percent of their global annual revenue as fines when such breaches related to EU data takes place. To this already vulnerable scenario, if we add on DDoS attacks by AI, zero-day attacks and attacks by Ransomware, the damage to an organization’s brand image can barely be imagined. Protecting their applications should be number one priority for organizations as it has become a necessity for survival in the marketplace. It is perhaps common knowledge that layered security is a critical aspect of application safety. A single layer or checkpoint cannot possibly guard an organization against the number of data breaches that can take place. However, following some industry best practices can ensure an organization is well placed with a secure and robust security setup to secure its business-critical applications. Perhaps the primary way to secure an organization’s applications is to secure it within a container. The inbuilt, native security features, as well as default configurations of a container, make it a much stronger security measure than otherwise assumed. When an application is secured within a container, it inherits the security features of the container it resides in. A container can be imagined to be a protective shell that can isolate an application from the host computer network as well as other containers. This isolation inhibits any infections and any malicious use of the software that may otherwise take place. By default, a container’s configurations use seccomp security profiles in combination with security policies that isolate the application processes from the operating system as well as the host. The default container control ensures that an organization’s applications run in a secure environment. Additionally, containers act as gatekeepers for an organization’s application. Containers make use of role-based access controls at a granular level as well as read-only environments which prevent any unauthorized access by programs, people or other resources. Containers work on the principle of least privilege. This is a fundamental part of the zero-trust security model that is at the forefront of cybersecurity. When residing within a container, the attack surface area of an application is significantly reduced. For more information on Containers and security, you can read more about it on Medium. As an organization starts with a developer, it is but logical that the security of an organization’s application should start with the developer too. Container platforms can be helpful in that it renders seamless security while staying at the background. Hence, security is present, but not in hindering the developer in any way. Container platforms such as Docker Enterprise come with a container engine with pre-built security capabilities that are required to sign and certify container images that contain the application during the time developers check and test code. Cryptographic digital signatures are used to confirm container provenance as well as authenticity to validate that the application has not been infected or altered in any way. Container platforms come with security functions that closely intertwine the developer’s efforts without amending their workflow. This ensures that the complete development process and the application itself is entirely secure without any negative impact on efficiency or speed. The most effective method to check if an organization’s application is safe is to incorporated an automated procedure to verify the application at each stage. Docker’s container platform scans containers for any vulnerabilities and compares versions of programming resources with relevant information present in public vulnerability databases. 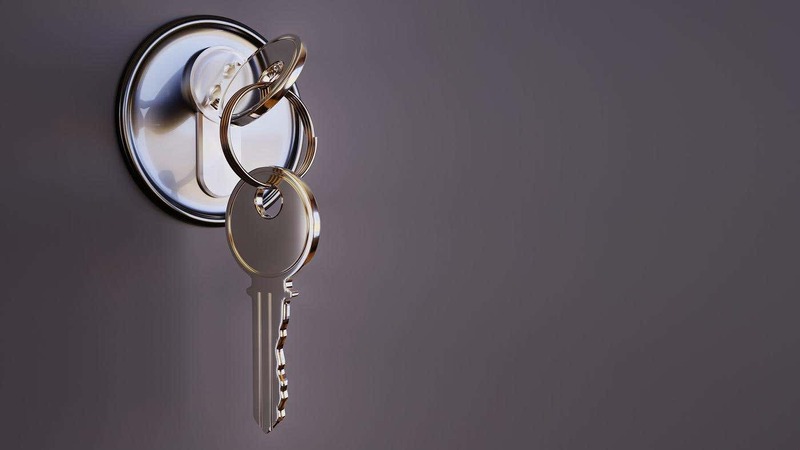 By using components with known vulnerabilities, you’re keeping your security doors open. There’s a high probability that someone with malicious intent could break into your security and attempt to breach confidential data. The well documented Equifax breach from last year is a good example of this. Equifax used a software component called Apache Struts, but were behind by nine security revisions. They saw the Apache Struts security warnings, but ignored it and this resulted in millions of confidential documents getting breached. Vulnerability scans give an organization an added insight and visibility into the status of an application’s security right from the development through to the production stage. Also, after images are scanned and confirmed to be clean, organizations can swiftly and automatically promote valid containers through to the next phase of the development cycle and finally to production. An advantage of this automated process is that it makes that organizations can catch any vulnerabilities in their methods and continuously patch as and when new vulnerabilities are unearthed. Container platforms empower organizations with secure and efficient patching processes that enable them to thwart any breaches of security as they occur and comply with regulations without hindering their development process. Bodies like the National Institute of Standards and Technology, or NIST are standard bodies that assist organizations in addressing their security challenges as well as industry regulations. They do this with the help of a set of guidelines that maintain robust security best practices. These standards assist organizations to identify gaps between the security status of their applications vs. the measures that have been set. Containerization strategies can assist organizations to close these gaps and help them clear security audits and avoid the pitfalls of penalties and fines. Once organizations have a standard container format, they apply these principles more efficiently. Organizations will be able to reduce the costs incurred against compliance enforcement by keeping their applications within a container that covers the breadth of the recognized standards of security like the NIST 800-53 and NIST’s newly proposed Open Security Controls Assessment Language standard, or OSCAL. Some partners within the container ecosystem provide third-party integrations and plugins that allow for added layers of security, capabilities, and features for containers. These integrations can be helpful once they become a part of an organization’s existing security strategy as they allow for the extension of many security policies to applications. These integrations go a long way in helping organizations to comply with standard security guidelines. As an example, integration can be enforced to policies around runtime security to help inhibit anomalous container behavior, provide the container with a firewall to avoid inter-container attacks or to confirm container image validity, so that adherence to the organization’s security best practices is assured. Almost every security vendor within the Docker ecosystem can provide strategic layers of defense to inhibit the next malicious attack. To conclude, container platforms allow organizations to secure their applications, develop them in a secure environment and check and confirm an application’s integrity right from the start to the finish of its lifecycle using an auditable chain of custody. Tapping into the potential of a container platform having integrated security, allows organizations to accelerate the time to market by locating and patching any vulnerabilities without hindering the pace of the development to production lifecycle. Organizations can meet industry and government regulations, and security standards as the progress of container development are in sync with compliance requirements. As organizations begin to look for options to secure both new as well as legacy applications, they need to start considering a container platform to make sure they are aligned with the latest ways to keep their business-critical applications safe and secure.